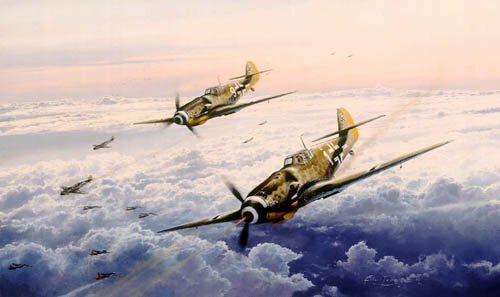 Overall Print Size: 35" x 25"
The top Luftwaffe fighter aces flew more combat missions and shot down more enemy aircraft during World War II than any other group of fighter pilots in history. The men flew continuously, day after day, until they were either shot down or wounded; some were in combat virtually without rest throughout the war. Their astonishing record will never be surpassed.